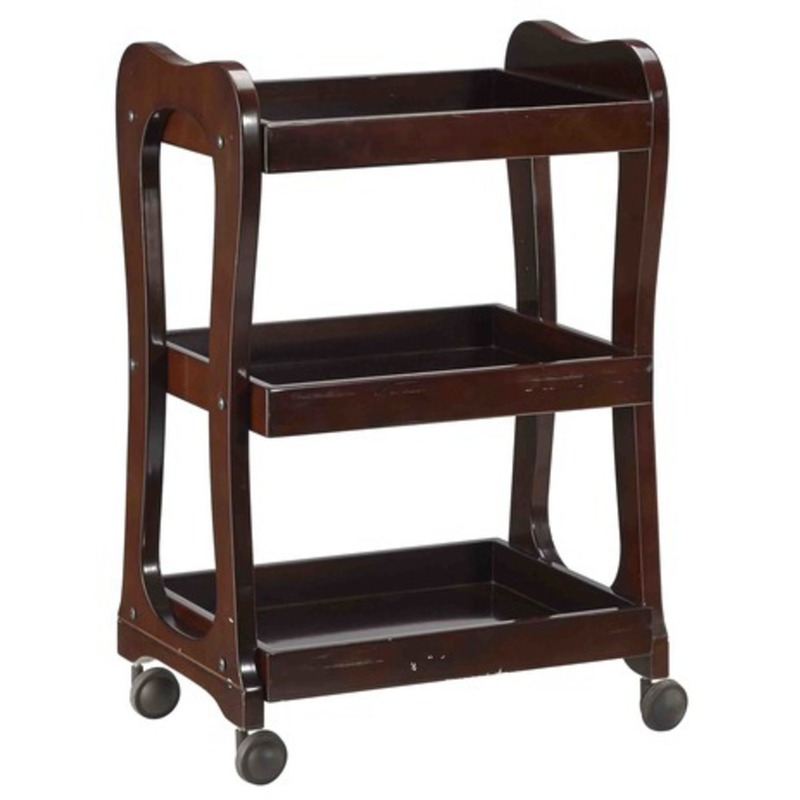 The Teegan Wooden Esthetician Trolley / 3 Shelves. The combination of design details, functionality and good looks makes this trolley the perfect addition for treatment rooms with warm style. All 3 shelves feature guard rail edges on 3 sides to keep products, equipment and supplies from falling off!